Historical Marker #524 in Monroe County notes when John Hunt Morgan struck Tompkinsville. In July 1862, Morgan raided Kentucky for the first time to disrupt Union lines of communication. On July 9, his two regiments hit Tompkinsville, where they attacked about 300 members of the 9th Pennsylvania Cavalry. Early that morning, Morgan's men surrounded the Pennsylvanians' camp, fired several artillery shells, and charged. A sharp fight erupted, and the Union troops were driven off. Morgan captured 30 men, destroyed their tents and stores, and captured wagons, horses, mules, and supplies. Morgan's success at Tompkinsville foreshadowed his entire raid. In twenty-four days, his horsemen rode 1,000 miles, captured 1,200 prisoners, and damaged many Union supplies. Morgan lost less than 100 troopers. 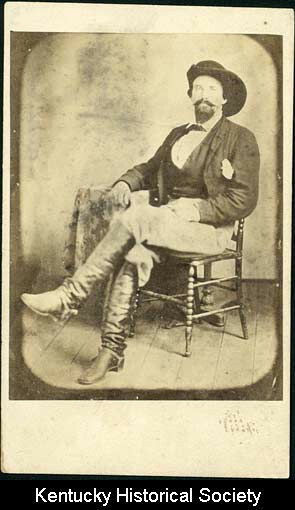 A larger result of the raid was that Morgan claimed that thousands of Kentuckians would join the Confederate army if the state were held. This influenced rebel commanders to invade the commonwealth that summer. Consequently, the battles of Richmond, Munfordville, and Perryville were fought. The Southerners were then driven from the state and Kentucky remained in Union hands for the rest of the war. 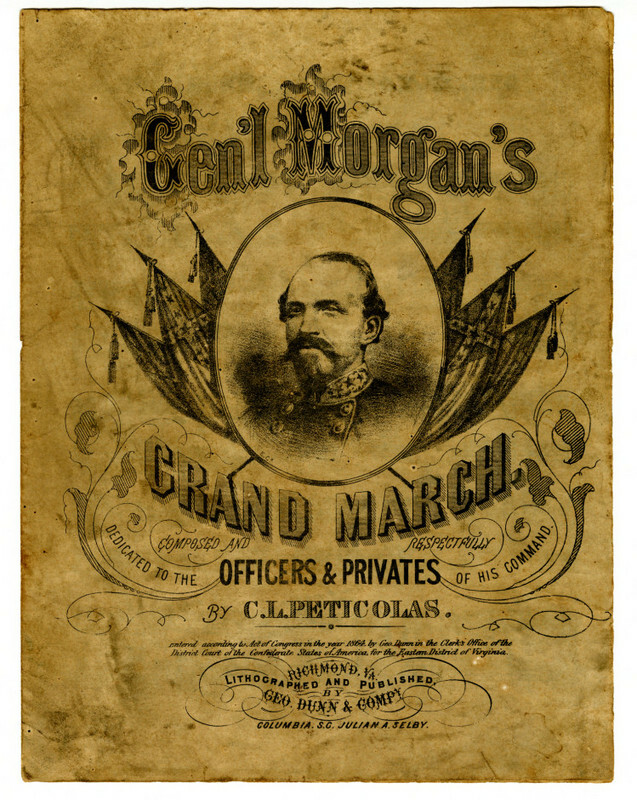 "John Hunt Morgan's Grand March": Composed in 1864 by C. L. Peticolas, this song was composed to commemorate the exploits of "Morgan's Men." John Hunt Morgan: On July 9, 1862, Confederate cavalry led by John Hunt Morgan raided Tompkinsville. Courtesy of the Kentucky Historical Society. Sanders, “Tompkinsville Raided,” ExploreKYHistory, accessed April 22, 2019, https://explorekyhistory.ky.gov/items/show/32.